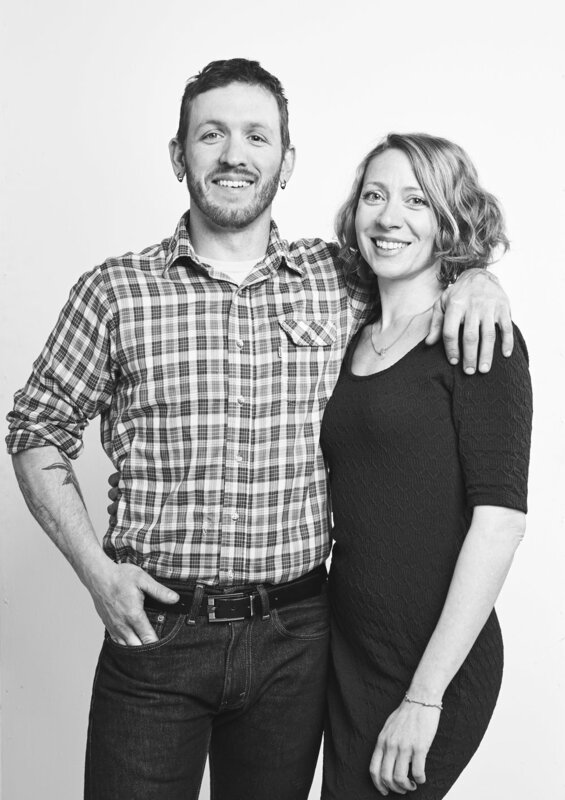 Intentional Swine was founded in 2015 in Asheville, NC by Jeremiah DeBrie and Samara Rasmussen. Intentional Swine hones the craft of whole animal butchery & charcuterie, sourcing the highest quality animals from local, ethical farms. Jeremiah (JT) is a chef and a butcher. He has been working in restaurants and with whole pigs since he was 14 years old, when he landed his first job at the Etowah BBQ Shak in Brevard, NC. Classically trained at the California Culinary Academy, JT has spent his career in high-end restaurants throughout San Franciso, Waikiki, Portland, Boston, and Asheville. Though JT’s well-rounded culinary background has allowed him the opportunity to learn first-hand skills and techniques as a baker, a fish cutter, and a fast paced line cook in a variety of cuisines, he has since focused his energy on whole animal butchery & handcrafted charcuterie, which has been a constant in his career. Pairing up with Samara Rasmussen, a well traveled restaurant veteran with a diverse background in food, wine & design, the team have married their talents to create Intentional Swine: a community based business dedicated to supporting local, ethical farms, and the crafts of whole animal butchery and charcuterie. JT and Samara live in Leicester, NC with their three children and are excited to be a part of Asheville, NC's vibrant culinary scene and supportive community.